Samsung Galaxy A8s will be initially released in China later in December 2018. 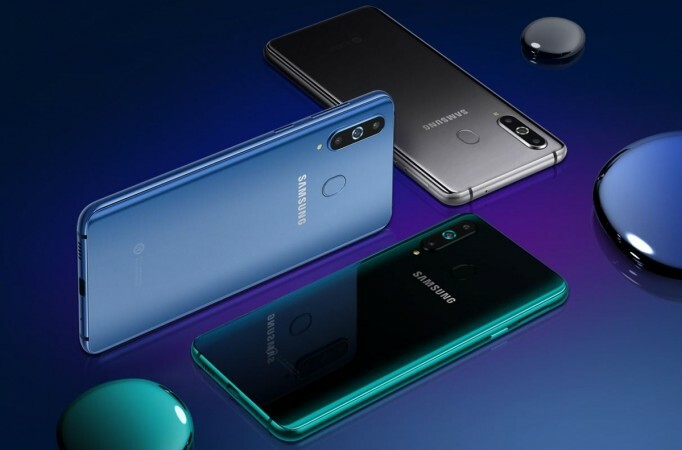 Leading smartphone-maker Samsung has unveiled the much-awaited Galaxy A8s, which is touted to be the world's first in-screen camera phone. All rumours prior to the official debut were spot on in predicting the marquee feature of the new Galaxy A8s. It boasts Infinity Display-O screen and in all certainty, will be designed reference for most phones slated to come in 2019 similar to iPhone X's notch was for the year 2018. With the new Infinity Display-O design, Samsung has managed to shrink the bezels like never before. As we can see in the picture, the bezel on the top is completely gone, while the base bezel is trimmed with very less physical space, which makes the Galaxy A8s a unique-looking phone in the industry, but not for long, as Honor V20, which is expected to make its debut later this month will have similar screen. The new Galaxy A8s flaunts a massive 6.3-inch full HD+ LCD screen with 2.5D glass and 19.5:9 aspect ratio. Under-the-hood, it comes with a Qualcomm Snapdragon 710 octa-core processor backed by sumptuous 6GB/8GB RAM, 128GB storage (expandable), Android Oreo and a 3,400mAh battery, which should be enough to keep the device running for a whole day under normal usage. As far as the photography hardware is concerned, Galaxy A8s come with a feature-rich triple-rear camera module. It houses a 24MP primary sensor, 10MP wide-angle sensor and 5MP depth sensor to produce good quality images. On the front, it comes packed with a 24MP sensor with F2.0 aperture. 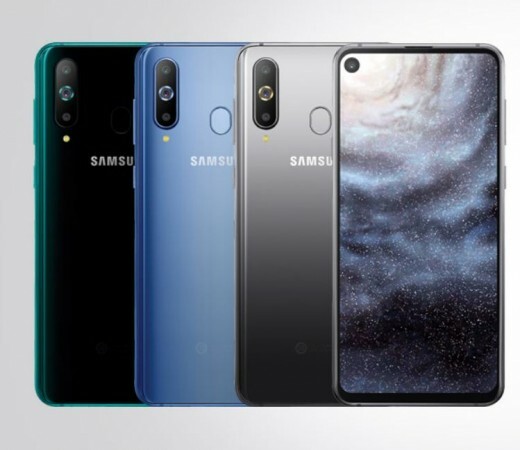 The new Galaxy A8s is slated to go on sale in China on December 21 and the price is expected to be revealed days ahead of the release date. It comes in three colour options -- Blue, Grey and Green. There is no word on when Samsung plans to bring the new phone in global markets just yet, but it is likely to happen in early 2019.